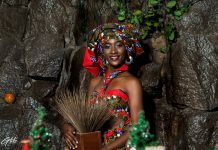 Freetown, Sierra Leone – The Miss Universe Pageant has confirmed that Sierra Leone will for the first time in the organization’s 64-year history, send a contestant to compete for the crown. 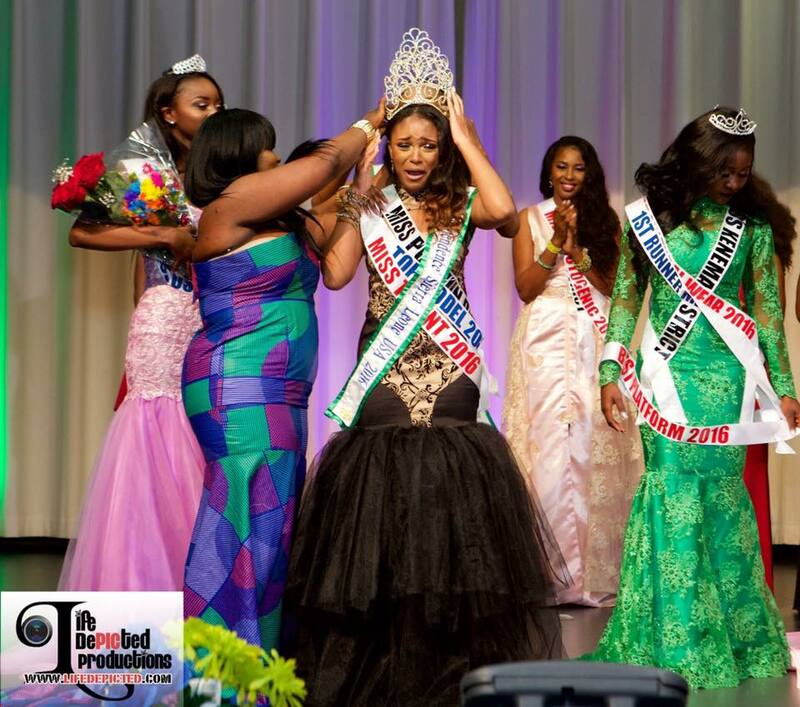 The International Ambassadors of Sierra Leone (I.AM-SL) Pageant Agency has received its license and accreditation to send a Miss Universe Sierra Leone 2016 representative. The I.AM-SL Pageant Agency is owned and operated by Miss Sierra Leone World 2011, Ms. Swadu Natasha Beckley. She has moved from beauty queen to pageant entrepreneur, accredited to not just to the Miss Universe Pageant but also, Miss Earth, and Miss Tourism Queen International.  The I.AM-SL is a pageantry production and coaching agency. 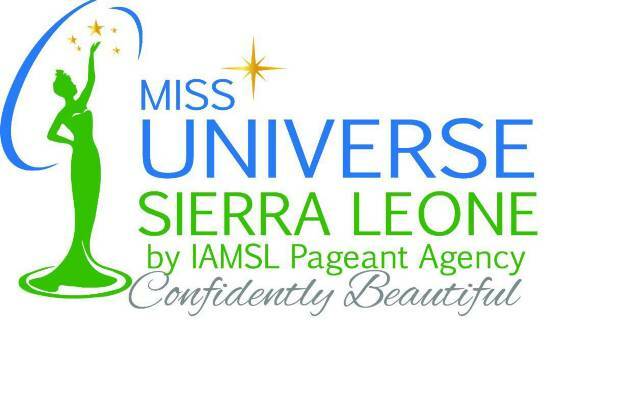 I.AM-SL is Sierra Leone’s sole licensee and franchise-holder for the 2016 Miss Universe Pageant. The Miss Universe Pageant is held in 190 countries; the pageant has an annual global viewership of 500 million. This year Sierra Leone will be joining other African countries like Nigeria, Ghana, and Angola who made their debut in 1964, 1994, and 2011 respectively. Miss Angola, Leila Lopes went on to win the crown on her nation’s debut. Undoubtedly Miss Universe is one of the most important and publicized beauty pageants in the world, and the young woman who represents Sierra Leone has a unique opportunity to showcase herself and our nation. “The Miss Universe 2016 platform will provide us an opportunity to nurture and select confidently beautiful ambassadors to develop platforms that will exhibit the beauty, elegance, and uniqueness of the Sierra Leone”, says Ms. Beckley, Chief Executive, I.AM-SL Pageant Agency. As a pageant queen previously representing Sierra Leone internationally, she brings insight and experience both on and off the stage to Miss Universe Sierra Leone 2016 contestants. With the support of the right partners both in government and in the private sector, Miss Universe Sierra Leone 2016 will be a force for positive change for rebranding post-ebola Sierra Leone. 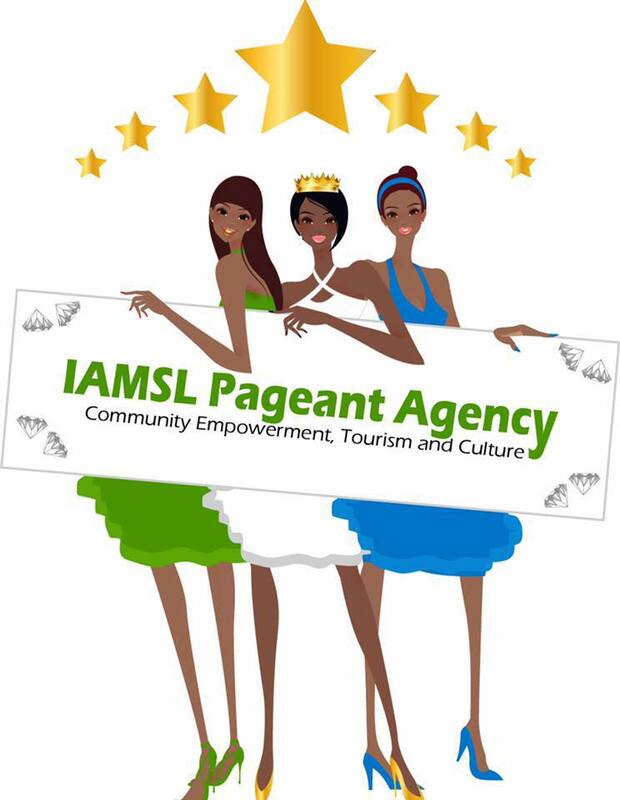 The Ministry of Tourism understanding the importance of Sierra Leone’s participation in the pageant has partnered with I.AM-SL to make the competition a success. 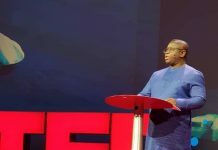 “I.AM-SL Pageant Agency’s ability to secure the franchises for 4 of the world’s top pageants means that Sierra Leone will be effectively represented,” said Mr. Adrian Dixon Fofanah, Deputy Minister, Ministry of Tourism and Cultural Affairs. The winner of Miss Universe Sierra Leone will go to the Miss Universe 2016 pageant held later this year. She will also have the opportunity to promote a charity of her choice, to which she will dedicate her reign. “I think there is so much more in my country that is worth talking about, and I believe taking part in this pageant will help me develop myself, and empower others,” said Josephine Kamara, a contestant in the Miss Universe Sierra Leone 2016 pageant. 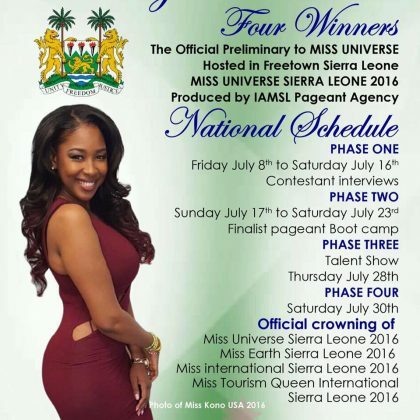 Miss Universe Sierra Leone pageant auditions and preliminaries will be held in Freetown this July. Miss Universe requires that contestants are at least 18 years old and less than 27 years of age at the time of the competition. Participants hoping to represent Sierra Leone in this year’s Miss Universe should contact the I.AM-SL pageant agency for more details. I.AM-SL is a pageant production and coaching registered in the Unites States with operations in Sierra Leone. 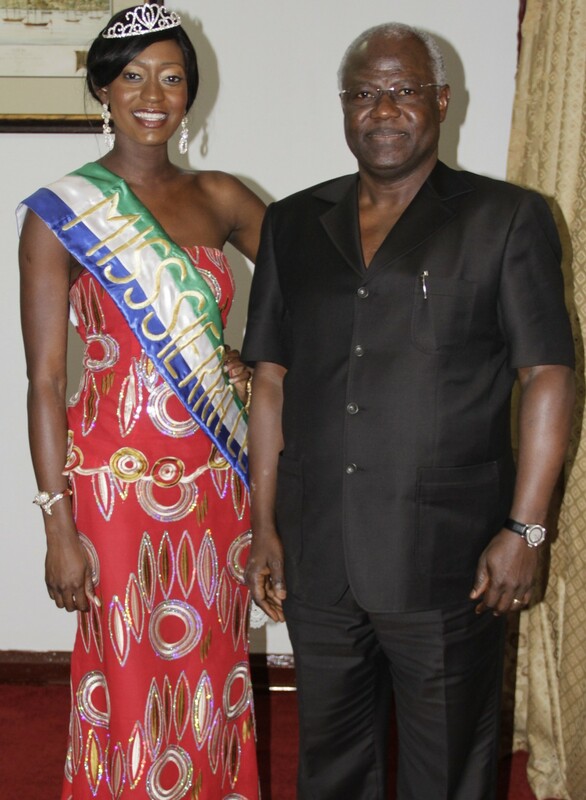 Our CEO and pageant lead is Ms Swadu Natasha Beckley, Miss World Sierra Leone 2011. Our objective is to motivate young women to use their beauty to make a difference in their communities. As such we believe in the empowerment of the Sierra Leonean girl to reach her fullest potential. We are the official franchise holders of Miss Universe Sierra Leone, Miss Earth Sierra Leone, Miss International Sierra Leone, and Miss Tourism Sierra Leone. Visit our website to find out more about us: www.iamsl.org. The Fallacy of the American Dream….